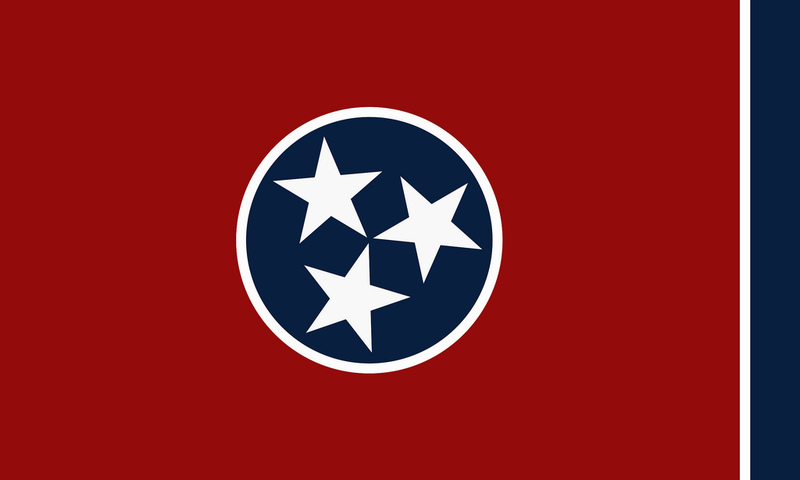 Flag of Tennessee; three stars represent the three grand divisions of the state; East, Middle, and West. Photo by Chip Glover/Flickr (Use Permitted with Attribution). "The three stars are of pure white, representing the three grand division of the state. They are bound together by the endless circle of the blue field, the symbol being three bound together in one - an indissouluble trinity. Thelarge field is crimson. The final blue bar relieves the sameness of the crimson field and prevents the flag from showing too much crimson when hanging limp. The white edgings contrast more strongly the other colors." Salute the Flag of Tennessee." My affection, my service and my life." 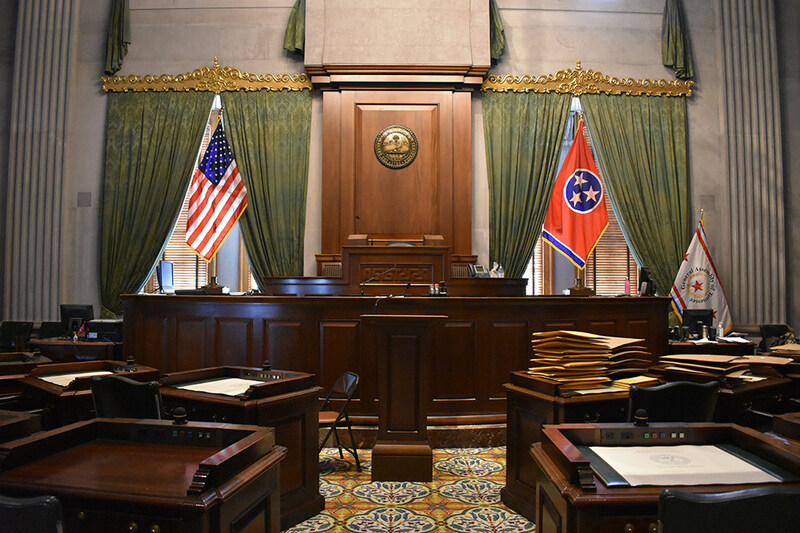 Tennessee Senate with state and national flags; Capitol Hill Area, Nashville, Tennessee. Photo by Rough Tough, Real Stuff/Flickr (noncommercial use permitted with attribution/no derivative works). 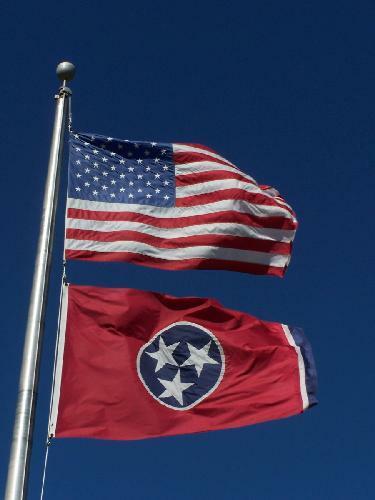 Tennessee flag and U.S. flag; waving proudly on a clear blue day. Photo by J. Stephen Conn/Flickr (noncommercial use permitted with attribution).